Premium high performance sealant. Silyl Terminated Polyether chemistry. 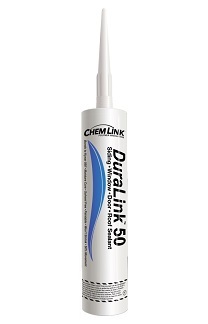 Highly elastic sealant designed for applications with extremely dynamic joints and where enhanced adhesion is needed. Designed and rated for +/-50% joint movement, and joints up to 2" wide x 1/2" deep. RECOMMENDED FOR METAL ROOFING AND SIDING. Elongation 700% and tensile strength of 150-200 PSI. Superior adhesion to difficult surfaces including Kynar coated roof metals, metals with acrylic finish, vinyl siding or vinyl clad windows, PVC, glass, metals, EFIS, foam, plastics, concrete, stone, wood, BUR, cured asphalt and more. Apply down to 32F. Service temp -40F to 200F. Non-Staining: Will not stain limestone or marble, etc. 100% Solids, non-shrinking, 100% solvent free, low VOC, very low odor. Skins in about 30 minutes. Paintable in 24 hours. USDA compliant for food areas.